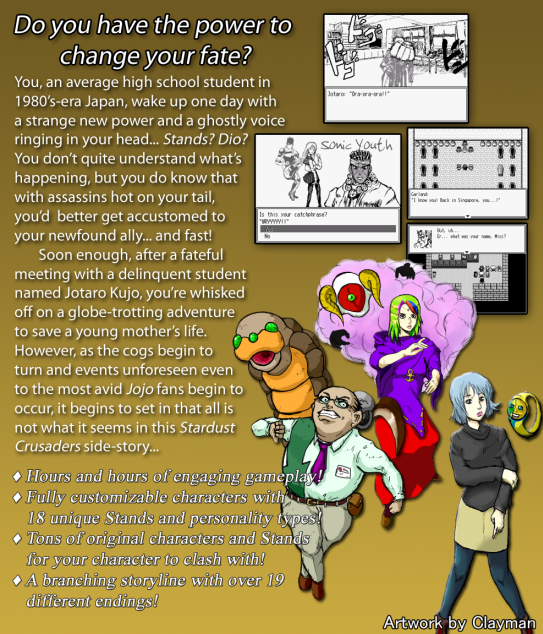 Jojo's Bizarre Adventure: The 7th Stand User is a pretty rad RPG Maker 2000 game that was recently fully translated from Japanese into English. 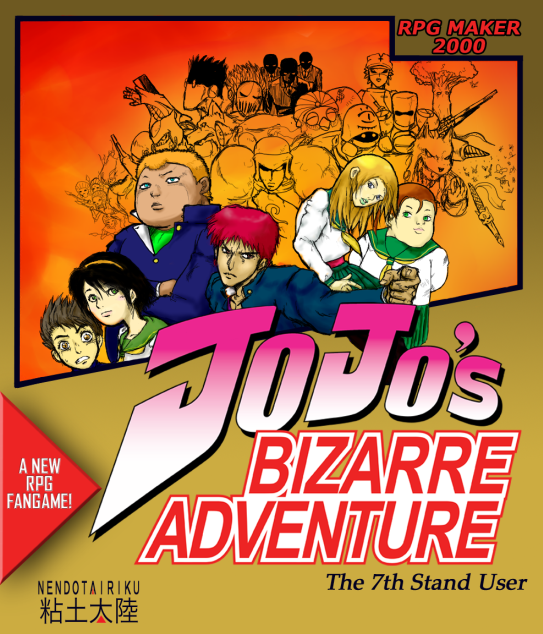 It lets you create an original Stand user, with one of 18 different Stands chosen via a personality quiz, who joins up with Jotaro Kujo and his friends on his journey to defeat Dio and save the life of his mother, Holly. 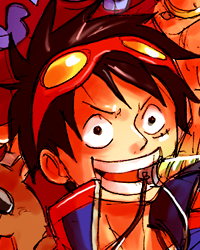 You can grab it here, and if you're a JJBA fan I strongly suggest at least giving it a try, you might be surprised.